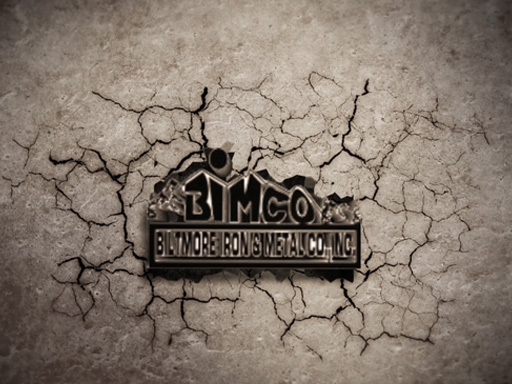 Biltmore Iron & Metal Co.
Standard Iron and Metal was started in 1929 in Asheville, N.C. Then in 1951 J. Paul and Sue Long rented the land that Standard Iron was located on from Mr. Harry S. Freeman (Freeman's Shoes). J. Paul and Sue Long changed the name of the scrap metal business to Biltmore Iron and Metal Co. Biltmore was derived from George Vanderbilt who built the large estate in Asheville known as the Biltmore Estate, which adjoins Biltmore Iron and Metal. The name Biltmore derives from Bildt, Vanderbilt's place of origin in Holland, and "More" the Anglo-Saxon meaning of open, rolling land. In March 1951, Don Cloninger (a son in law of the Longs) started working with Paul and Sue Long until 1953 when he joined the Navy. At that time in 1953, John and Jeanette Fisher moved to Asheville. Jeanette is the Longs' niece. John Fisher began working at Biltmore iron at that point. In 1958, another of the Longs' son-in laws began working at Biltmore Iron, Bob Morton. In 1961, Paul and Sue decided to get out of the business and asked Mr. Fisher if he would like to buy Biltmore Iron. Mr. Fisher secured a loan from a friend and he, Don and Bob continued scrapping until 1996. In 1996, Vonna Fisher Cloninger (married Jeff Cloninger who is not related to the Asheville Cloningers!) and Mike Cloninger (Don's son) bought the business from their fathers. Jeff also works here as the President. In 2005, Jonah Cloninger - Vonna and Jeff's youngest son joined the business. Then in 2006 Blake, Vonna and Jeff's oldest son began working in the business. Copyright © 2019 Biltmore Iron & Metal Co., Inc.
Website created by Life in a Box.